131 The Island Drive. Suite 3105. 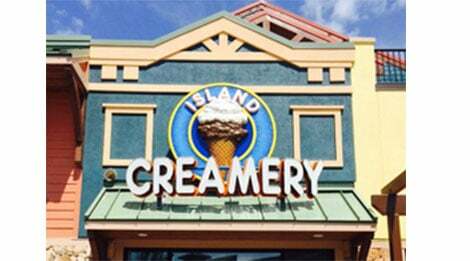 The Island Creamery will be serving delicious ice cream and smoothies as well as coffees from around the world. We will also have unique treats and old fashioned favorites. Come down to The Island and let us help you pick out that special treat to enjoy while you watch The Show Fountain every 1/2 hour, or any of the other sites on The Island.